Featuring the artwork of Susan Winget. Card one reads: May His love surround you at Christmas-time and always. 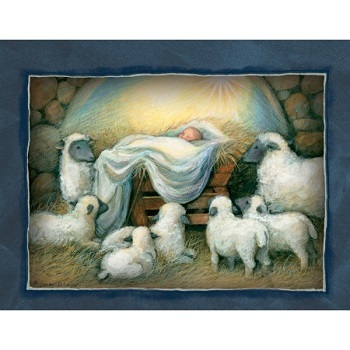 Card two reads: A silent night, a star above, a blessed gift of hope and love. Each box of Lang Assorted Christmas Cards contains 18 fine linen embossed cards and envelopes. Two complimentary designs in each box for a variety of beautiful designs by the same artist. An assortment of two - see insert for second style. Each card measures 5-3/8" X 6-7/8".